Yes, they heard you. 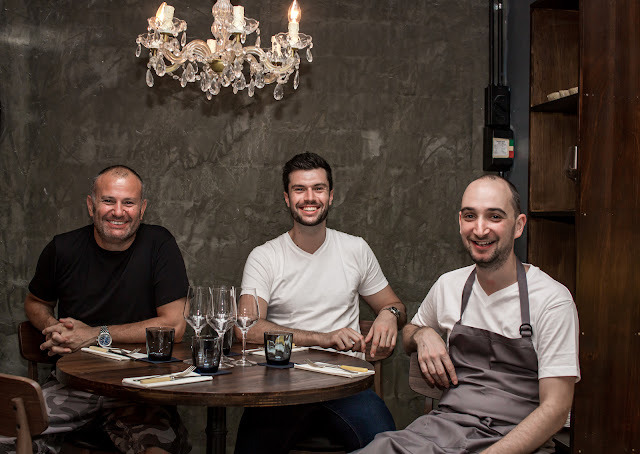 Maggie Joan's owners Glen Ballis, Daniel Ballis and Darren Micallef along with Chef Oliver Hyde have launched a new lunch menu! The array of well-made modern Mediterranean starters, mains and sides is bound to please fans of the hip bunker-like restaurant. We begin with some Cheese, Arancini & Tomato Chutney (S$9). 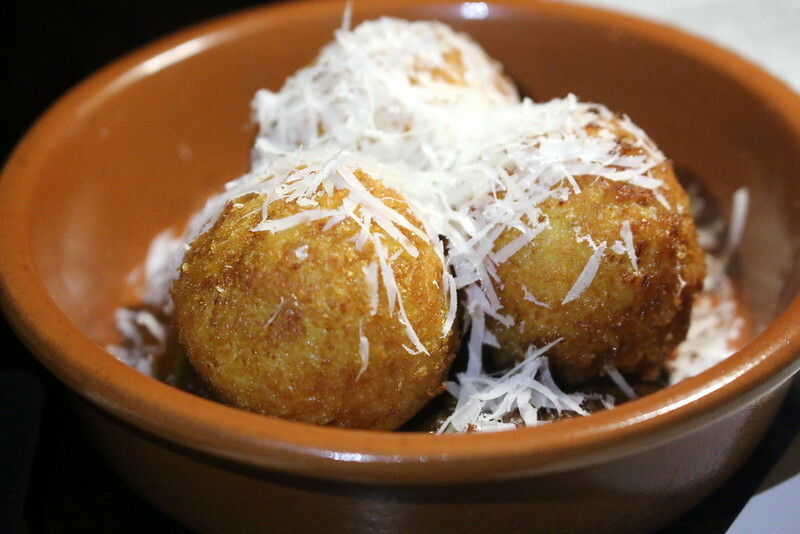 The Arancini - these deep-fried risotto balls are stuffed with various cheeses (gorgonzola, epoisse, langres, ricotta) and just a touch of truffle oil. The accompanying Tomato Chutney is a sweet explosion of Roma tomatoes cooked with onions, garlic, ginger, sherry vinger, and brown sugar. And if you crave something breakfast-like for lunch, you're in luck. 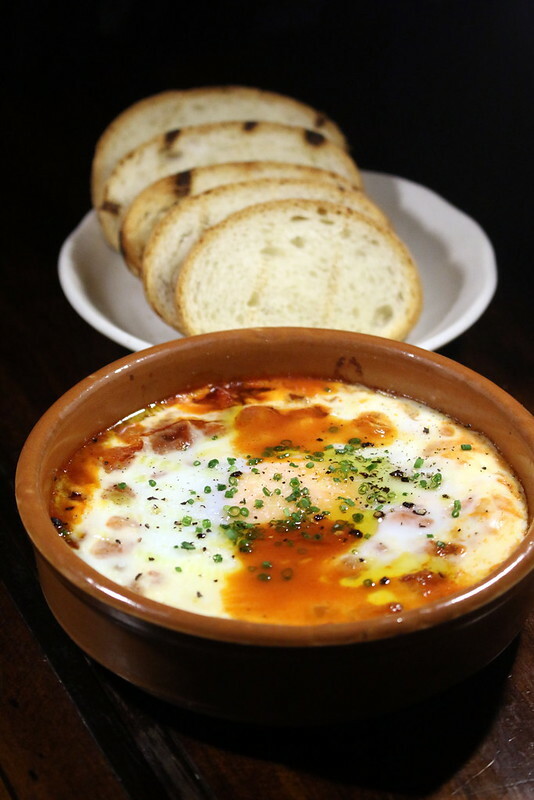 The Gypsy-style Baked Egg, Chickpea Stew & Chorizo (S$17) is Spanish inspired comfort in a bowl. The spiced chickpea stew gets a boost of flavour from Iberico chorizo, and is finished with preserved lemon pulp and free-range eggs on top. Good morning! Fancy some breakfast-like lunch later? @maggiejoanssingapore has Stewed Chickpeas with Chorizo topped with runny Baked Eggs that's both comfort food and protein power! Mop it up with the housemade milk bread. Mix it all up and enjoy with housemade milk bread. We really loved this. This was another standout dish. 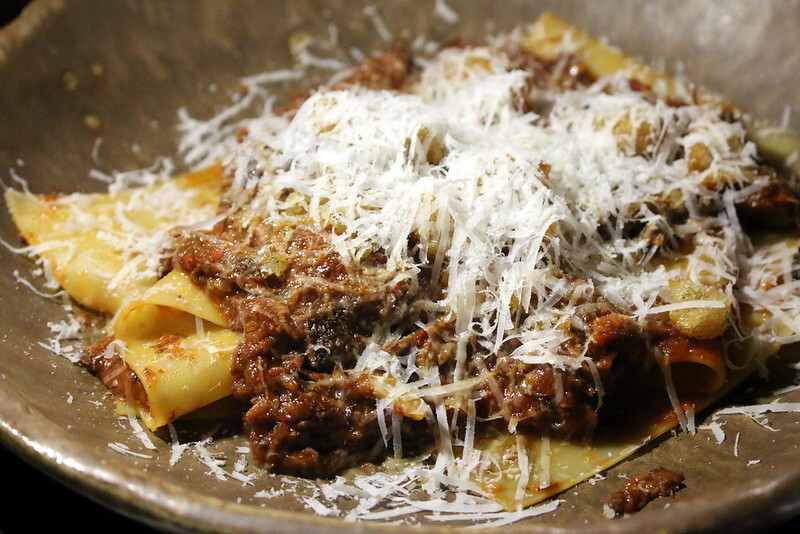 Wide swaths of al dente pasta topped with some of the most incredible ragu. The NZ lamb shoulder is roasted for 12-hours with tomato, garlic, carrots, onion, celery, black pepper and caramelised next morning. No wonder it tastes so good. Coleslaw & Pecorino (S$18). This is poulet jaune (French corn-fed chicken) crusted with Japanese panko and deep-fried - it is perfectly crisp, golden brown and deeelicious. 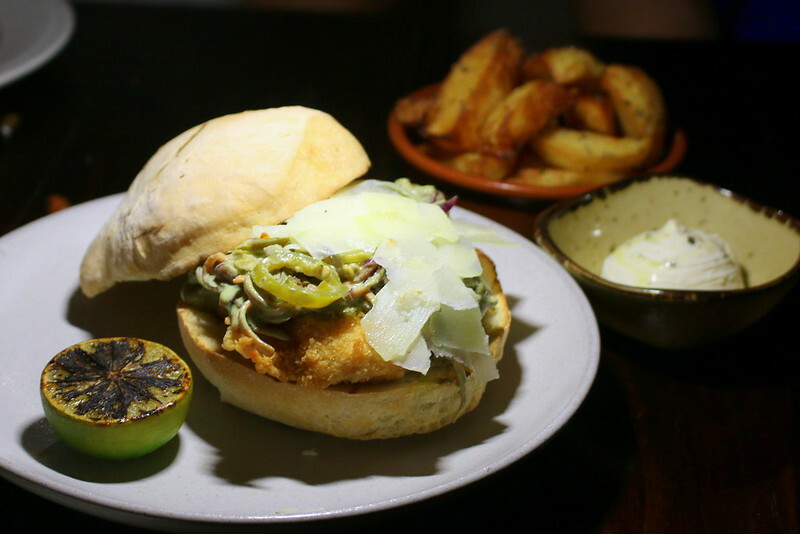 The harissa coleslaw and pecorino cheese add beautiful spice notes and a sharp, cheesy tang to the patty while the burnt lime adds caramelised citrusy flavour. Oh, so mouth watering. 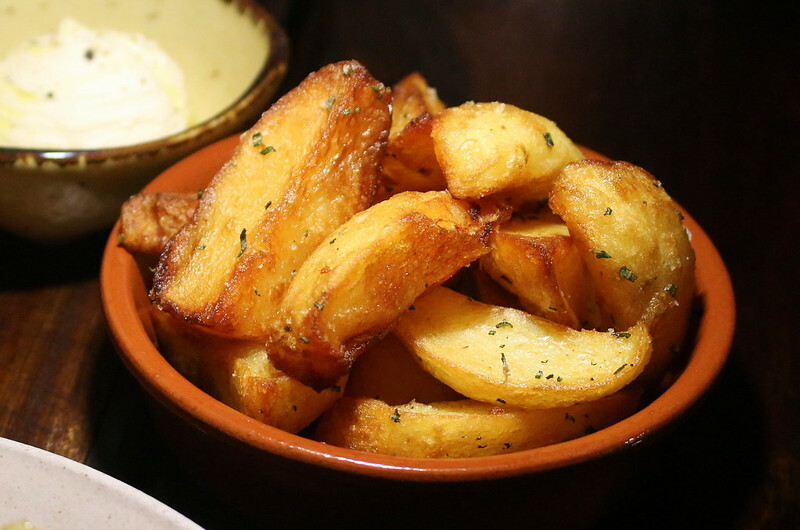 You could pair your lunch with some Handcut Chips with Rosemary Salt and Ricotta (S$9). I understand these are thrice cooked chips: steamed, then blanched in 140 deg C oil, and finally deep-fried at 220 deg. I think we may have waited a little too long before eating, as these seemed a bit on the soft side. Perhaps it was due to the pre-steaming too. Twice-fried works just fine for me. 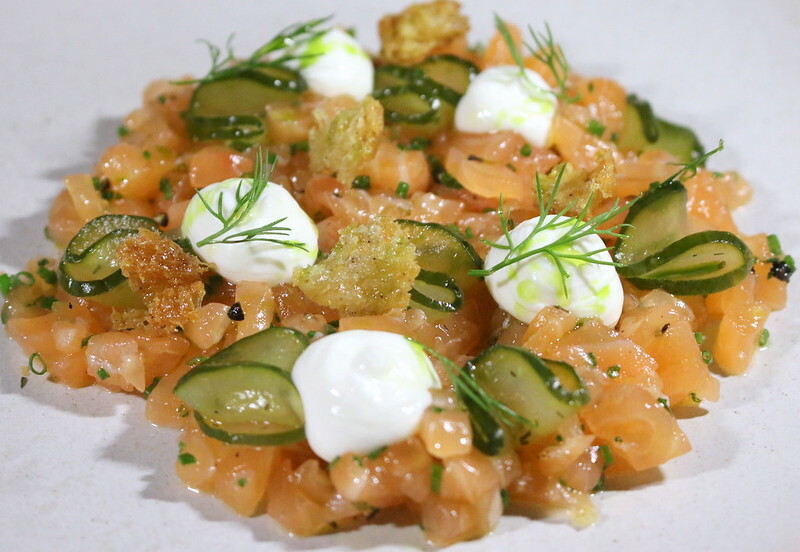 Those craving a lighter lunch could opt for this medley of house-cured salmon tartare with house-pickled cucumber, Greek yoghurt, house-made sourdough croutons, and dill. It's all gently seasoned with lemon, chives, shallots and black pepper. It's certainly pleasant and the flavours are not so in-your-face as the rest above. curd made with lemon, eggs and cream. It's flambéd before serving. 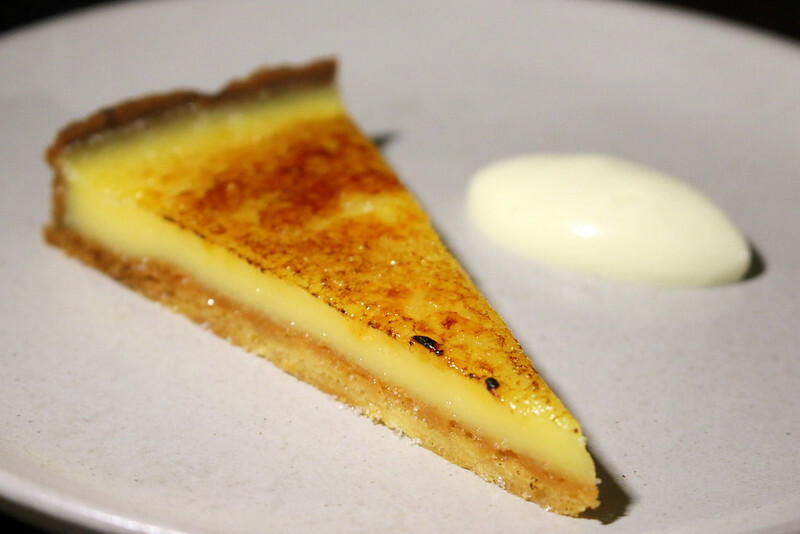 Best lemon tart I've had in ages (and I usually don't even like lemon tarts). Some popular items on the dinner menu will be available for lunch as well – for instance, the half roasted duck with carrots and feta, or a 400g Stockyard strip loin and salsa verde that's great for sharing. First photo courtesy of Maggie Joan's. Many thanks to Maggie Joan's for the invitation.